Q1. 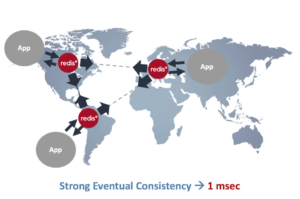 Redis Labs recently introduced a new engine for the RedisGraph module based on GraphBlas. What is it? What is it useful for? Naively implemented, the traditional approach scales terribly for graphs that model real-world problems, which tend to be very sparse. Space and time complexity for a matrix are governed by its dimensions (O(n²) for square matrices), making alternatives like adjacency lists more appealing for most practical applications with scaling requirements. Q2. Why did you choose GraphBLAS? 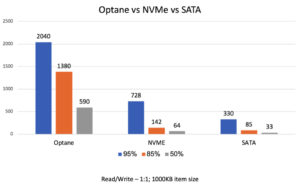 Space efficiency – GraphBLAS provides a compressed representation of sparse matrices using compressed sparse column form. Speed – by using the suitesparse library, developed by Tim Davis, who has worked closely with us to integrate his work as effectively as possible. This includes GraphBLAS algorithms in the language of linear algebra for efficient graph operations. Q3. 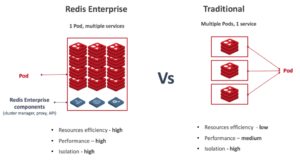 How does the RedisGraph module compare to existing graph databases? 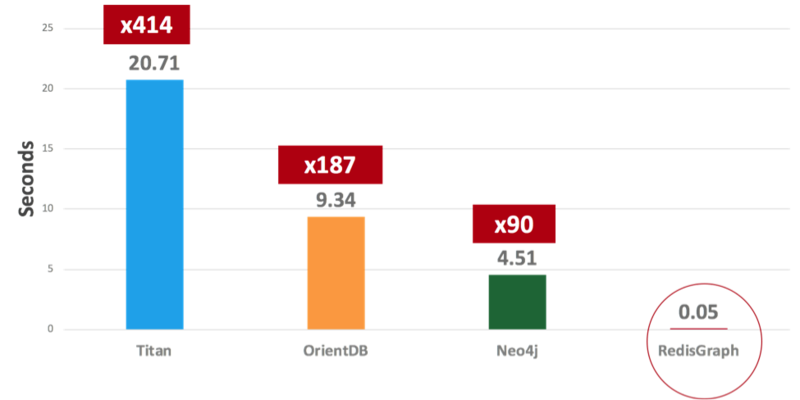 The RedisGraph module, based on GraphBLAS engine, shows significant performance advantages over existing graph databases, as can be seen from the results of an initial benchmark we ran. 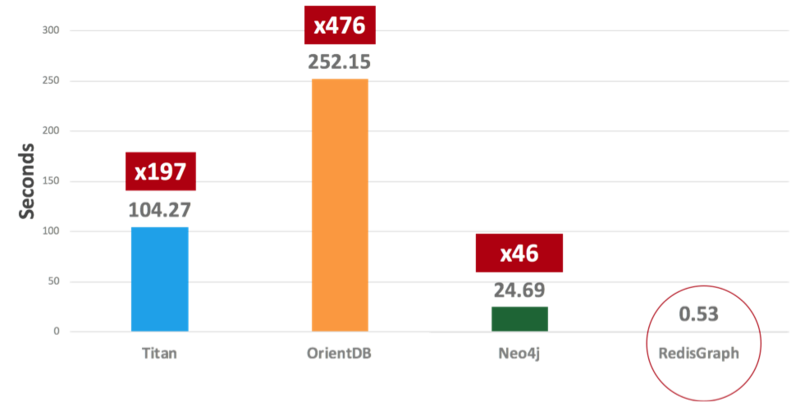 Eventually, we also tested memory usage and found that, on average, RedisGraph can reduce memory usage by 60-70%. Q4. 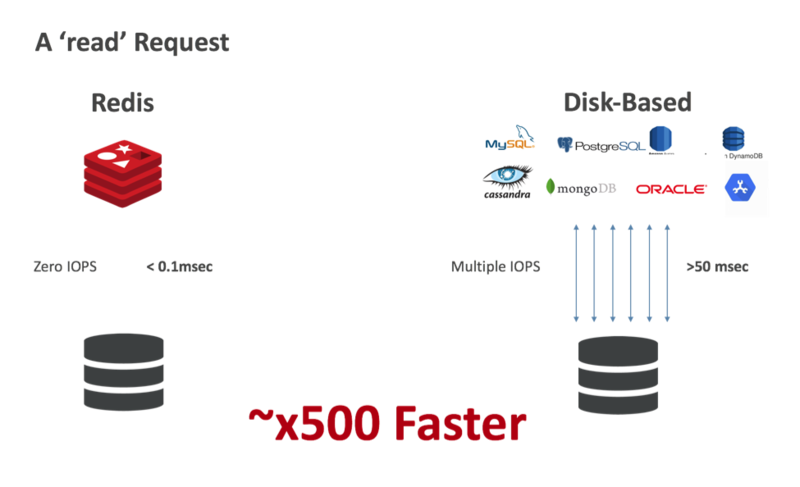 What are the problems that are solved by CRDTs in an Active-Active replicated database? 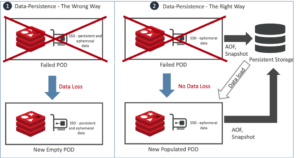 CRDTs (in general) and Redis CRDTs (in particular) don’t need a consensus protocol in order to reach a consensus. Instead, the user gets an immediate response for every ‘read’ or ‘write’ operation (as if it were a local Redis). Asynchronously, Redis CRDTs then update all the replicas using what’s called a merge operation. CRDTs guarantee that all replicas will be converged to the same value. This mechanism is also called Strong Eventual Consistency (SEC) and it’s further explained here. 2. In addition, conflict resolution is a hard problem to solve. 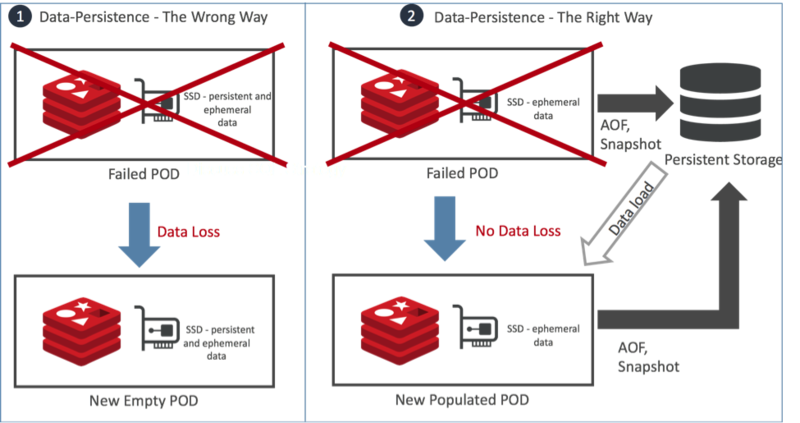 In most cases, you would prefer not to solve it at the application level, as (1) it’s complex and in many cases your data set may end up in an inconsistent state; (2) it’s slow as it requires application intervention in any database operation. 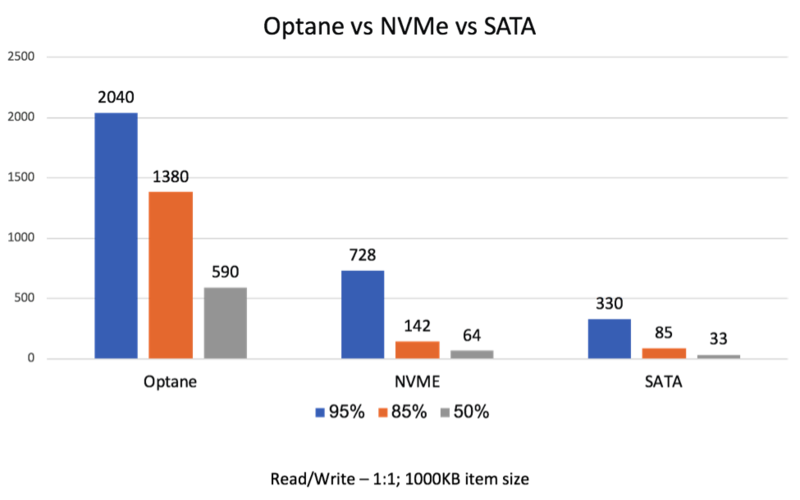 Traditional database implementations have chosen the simple Last Write Win (LWW) mechanism in order to decide which operation wins. 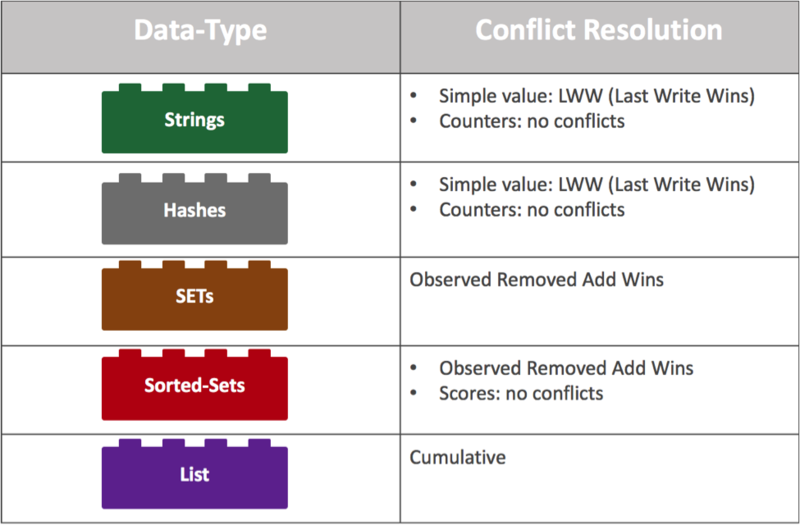 Although LWW is good for simple data types, it can lead to a complete data loss in more advanced data types, such as Redis SET, Sorted Set, List and others, which is totally unacceptable. In many cases, LWW also assumes that replicas’ clocks are in sync and use time stamps to decide which replica wins in case of a conflict. 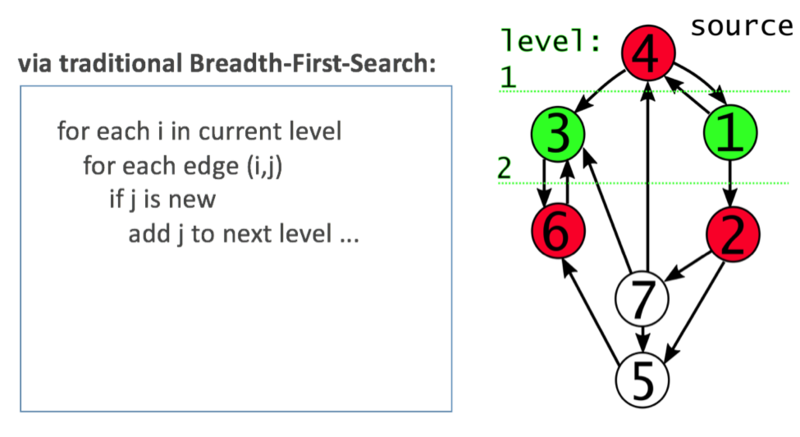 However, syncing clocks across regions requires special hardware like what is implemented by Google True Time. Q5. 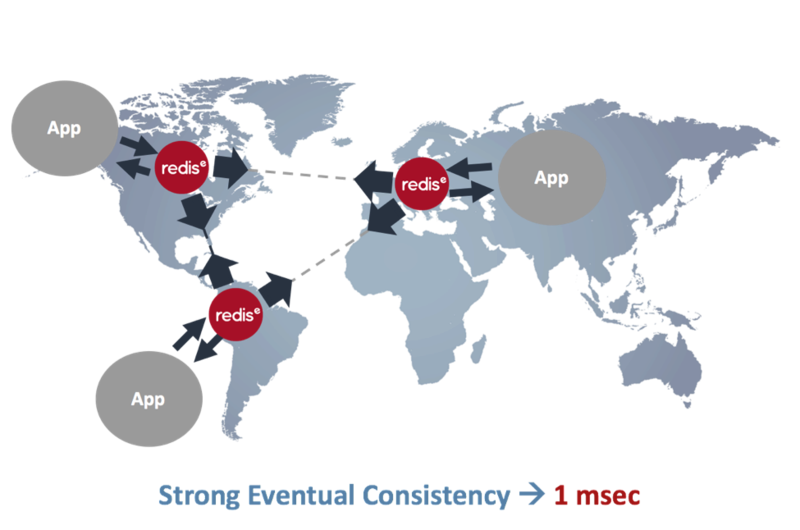 Redis Enterprise supports tunable causal consistency. 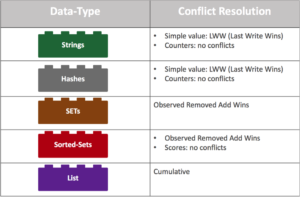 How is it different from similar concepts of consistency offered by other NoSQL databases? 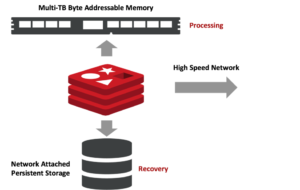 When enabled, causal consistency in the context of Redis CRDTs guarantees that the order of operations will be maintained across all participant replicas of an active-active deployment. 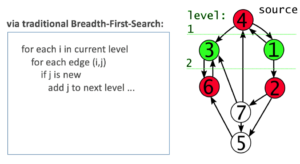 For example, in the Source FIFO Consistency illustrated below, Replica B and Replica C see a different order of events, which may lead to inconsistent application behavior. Q6. 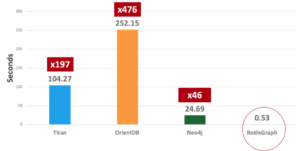 Kubernetes is becoming an industry standard for managing containerised applications. 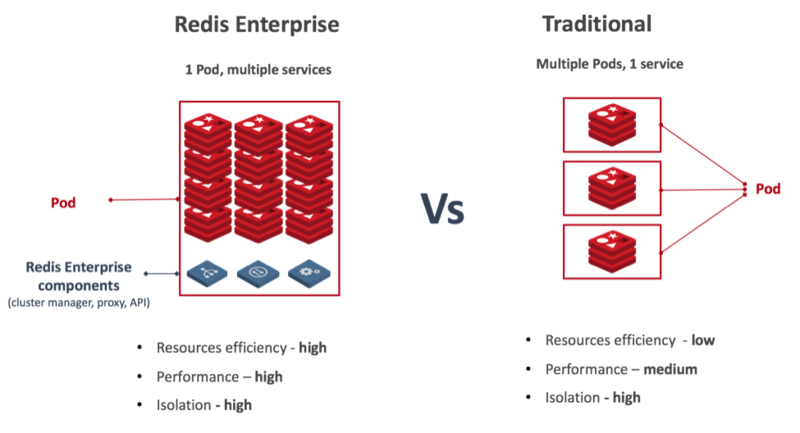 Can you provide a robust Redis Enterprise deployment on Kubernetes? If yes, how? 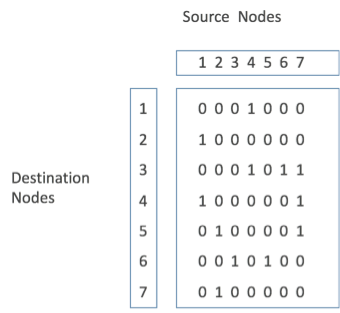 On the left side of the figure (marked #1), Redis uses local ephemeral storage for durability. When the POD fails, Kubernetes launches another POD as a replacement, but this POD comes with empty local ephemeral storage, and your data is just lost. 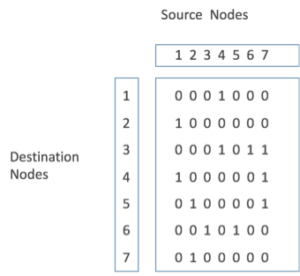 On the right side of the figure (marked #2), Redis uses network-attached storage for data durability. In this case, when a POD fails, Kubernetes launches another POD and automatically connects it to the storage device used by the failed POD. Redis Enterprise then instructs the Redis instance running on this node to load the data from the network-attached storage, which guarantees a durable setup. Q7. 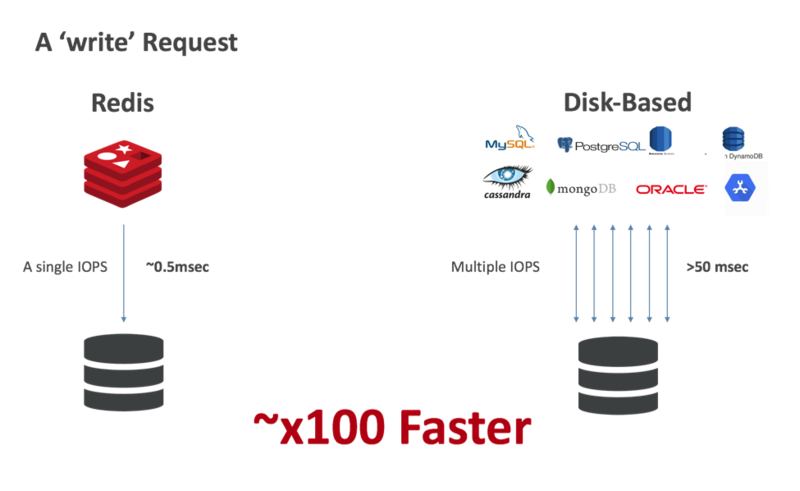 How does Redis on Flash take advantage of high-speed storage in the form of Flash SSDs? 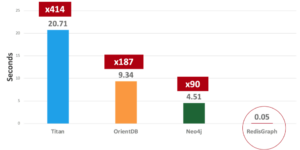 High-speed network for high availability and clustering. 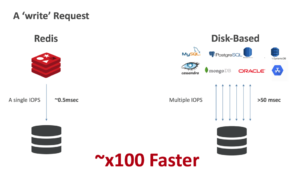 We believe Redis and Redis on Flash have all the ingredients to lead this industry shift, as it was built from the ground up to fully utilize this fascinating new generation of hardware architecture. 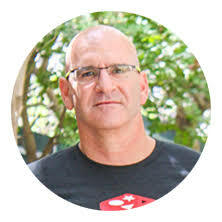 Yiftach is an experienced technologist, having held leadership engineering and product roles in diverse fields from application acceleration, cloud computing and software-as-a-service (SaaS), to broadband networks and metro networks. He was the founder, president and CTO of Crescendo Networks (acquired by F5, NASDAQ:FFIV), the vice president of software development at Native Networks (acquired by Alcatel, NASDAQ: ALU) and part of the founding team at ECI Telecom broadband division, where he served as vice president of software engineering. Yiftach holds a Bachelor of Science in Mathematics and Computer Science and has completed studies for Master of Science in Computer Science at Tel-Aviv University.